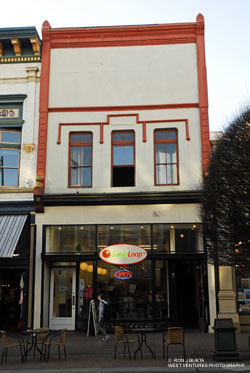 This simple two storey Edwardian building was originally a store and photographic gallery for Joseph Sommers. By 1907, he was sharing the premises with Fleming Bros Photographer. Over the years it has lost its architectural details but it is nevertheless a visual link to the Edwardian commercial buildings along Government Street. In 2009 it houses a restaurant.